creative index is now union shore: win a print from lucile's kitchen! win a print from lucile's kitchen! Remember when I professed my love for these adorable prints a few months back? Well, the very talented Lucile, from Lucile's Kitchen, is giving away an 8x10 print to one very lucky reader!! 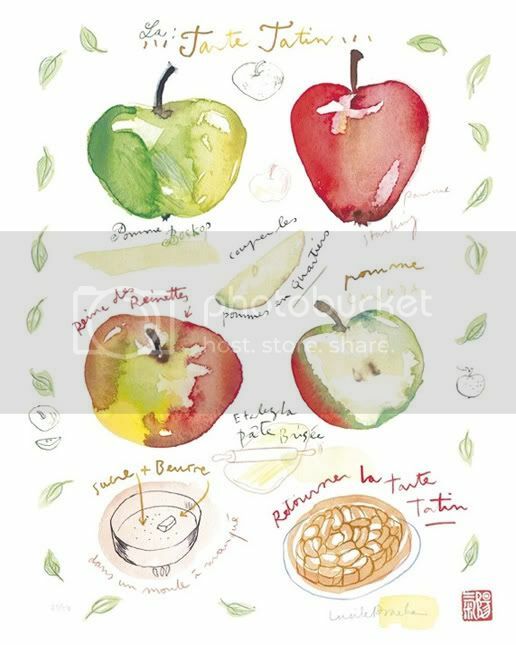 + Visit Lucile's Kitchen and leave a comment with your favorite print! Any 8x10 print in the shop is up for grabs, so take your pick!! + Follow Creative Index on Twitter. + "Heart" Lucile's Kitchen on Etsy. + "Like" Creative Index on Facebook. + Post about it on your FB wall. + Tweet about this giveaway. Giveaway closes on Monday, September 12th. Winner will be chosen on Tuesday, September 13th. Open to all readers! Good Luck! I am head over heels about the cupcake one...it;s my favorite food group! And like you on FB...so excited! Those are darling! 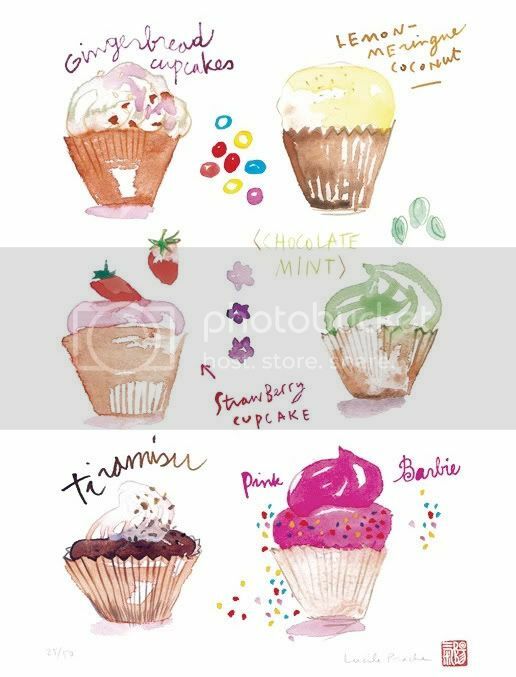 Love the cupcakes, and the water color! these prints are absolutely gorgeous!!! Cupcakes! And yes, I follow your adorable blog! I'm very much in love with the cupcake print! So pretty! Ahhh! Oh my Jess ... you always score the best giveaways!!!! What a lovely shop. I am totally smitten with the cupcake print ... it is awesome! Oh my her prints are AWESOME! I think the tea time is my fave! i love this one A french cake recipe No 5 - La Tarte Tatin / The apple pie - 8 X 10 !!! i follow you on friend connect. how did i miss this?!?! oh man. i'd pick the basil soup print...i think. I'm not on FB, but I added your giveaway to the GREAT GIVEAWAYS section of my sidebar at Create With Joy! what a fun giveaway, i can see why you were excited to share it with us all! thanks so much for the chance Jessica, these prints are wonderful to say the least!!! i'm a smitten kitten with Lucile's rendition of the "strawberry pie recipe". it's darling! These are adorable- super cheery! Brand new follower. i like don facebook and folllow on GFC, i looooove the chinese dinner print! I follow you and love the cupcake illustration #2 print! I posted on my fb wall! So hard to pick just 1 favorite, as they are all so cute, but I would have to say the apple print or the veggie print. i'm definitely a follower on twitter!